Move over Travis Maddox, Trent Maddox is winning over hearts of many. 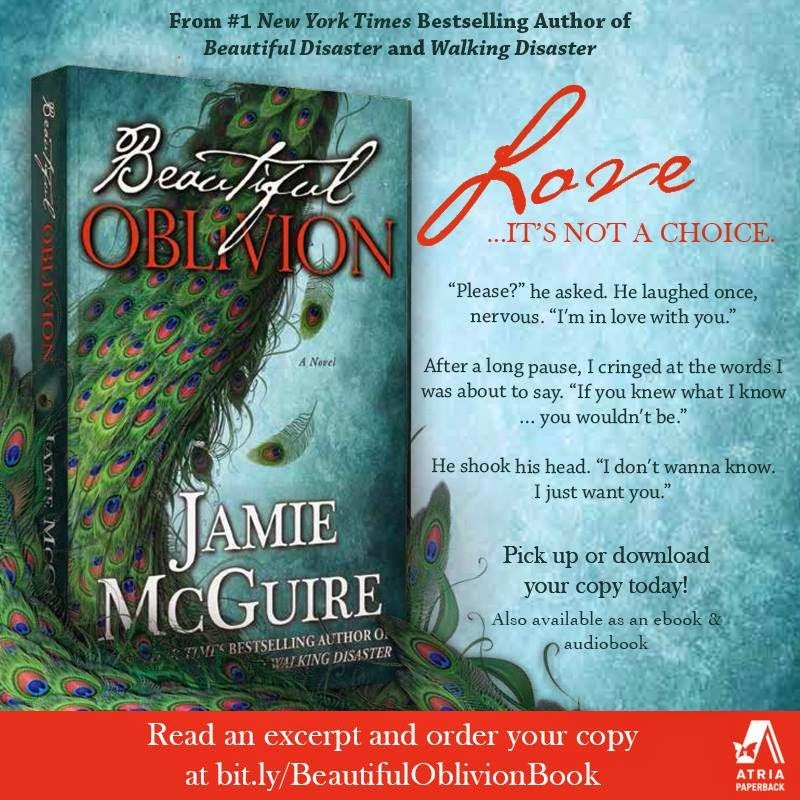 I wasn't sure what to expect when I started reading Beautiful Oblivion, but I was blown away with it. I can honestly say that I loved Trent more than I loved Travis. This novel is set during the same time Beautiful Disaster is, so we get a little bit of the development of Travis and Abby's relationship in this book as well. Trent wears his heart on his sleeve. He reveals his feelings for Cami right out of the gate. Cami has always held Trent's heart. He may not have been with her, but he has been in love with her for as long as he can remember. He has always had feelings for her, and he always kept an eye on her from afar. Cami has no clue has that Trent has feelings for her. When an opportunity arises, Trent acts on his feelings. Camille 'Cami' is a bartender at the Red Room Bar and is attending college while she is in a long distance relationship with TJ, who lives in California, and she rarely sees him. While TJ focuses on his new job, he never has time for Cami. He doesn't have time to call or text Cami and, although she is getting frustrated with the situation, she continues in the relationship because she knows that TJ loves her. Trent and Travis are regulars at the Red Room, so Cami has seen her fair share of ladies leave the bar with the infamous Maddox brothers. While TJ is away, a friendship develops between Cami and Trent. Cami is very honest with Trent and lets him know that they are just friends, however her heart is telling her something different. Was she really that oblivious, or did she just not want to see it? Cami refuses to act on her feelings for Trent and struggles with her feelings for him. Cami and Trent are getting closer, and she is feeling guilty because of her relationship with TJ. Throughout the book we know that Cami is keeping something from Trent, we just don't know what. When I found out what she was keeping, my jaw hit the floor. I NEVER saw that coming, I was blindsided by this revelation. I felt the raw emotions that Trent was feeling. The bantering between Cami and Trent was hilarious. He knew the right moments to be funny and when to turn on his charm. Cami and Trent are two broken individuals that are trying to find peace in their lives. Trent lost his mother at a young age, and Cami's family is the most dysfunctional family I have ever seen. The two of them have their own struggles, but Trent wants to go through them with Cami by his side. Will Cami admit her feelings for Trent? Can a relationship work with Trent Maddox? If she were to act on her feelings, would she be just another notch on his headboard? 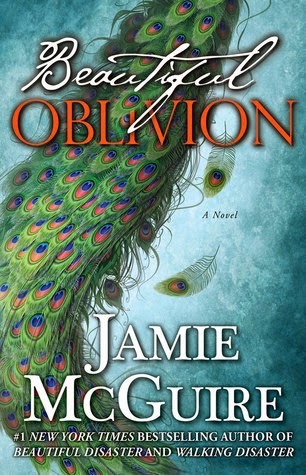 Jamie McGuire, you are a genius. I fell head over heels in love with Trent. His snarky comments, his funny sense of humor, and his love for Cami sucked me in from page 1, and I was a goner. I loved seeing a different side of Trent than what we got in Beautiful Disaster. There is so much more behind that beautiful face. He is genuinely a decent guy, one that deserves to be loved.